Anne DesBrisay is the restaurant critic for Ottawa Magazine. She has been writing about food and restaurants in Ottawa-Gatineau for 25 years and is the author of three bestselling books on dining out. 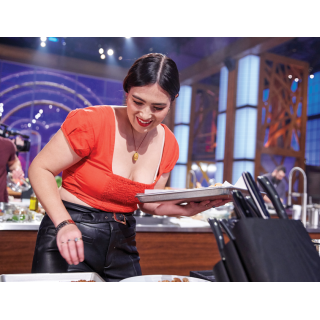 She is head judge for Gold Medal Plates and a member of the judging panel at the Canadian Culinary Championships. He’s back folks! 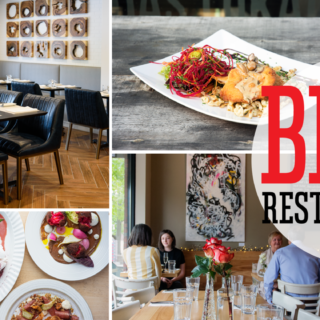 Chef Frederick White, who started his Caribbean Flavours restaurant in a little house on Somerset West more than a decade ago (then moved it, for a short while, to Carling Avenue after a 2006 fire ravaged the Chinatown location), has resurfaced after a hiatus from storefront cooking. He’s set himself up on on York Street in Lowertown, with a familiar menu and a back-to-front name. The original Caribbean Flavours is now Flavours of the Caribbean! 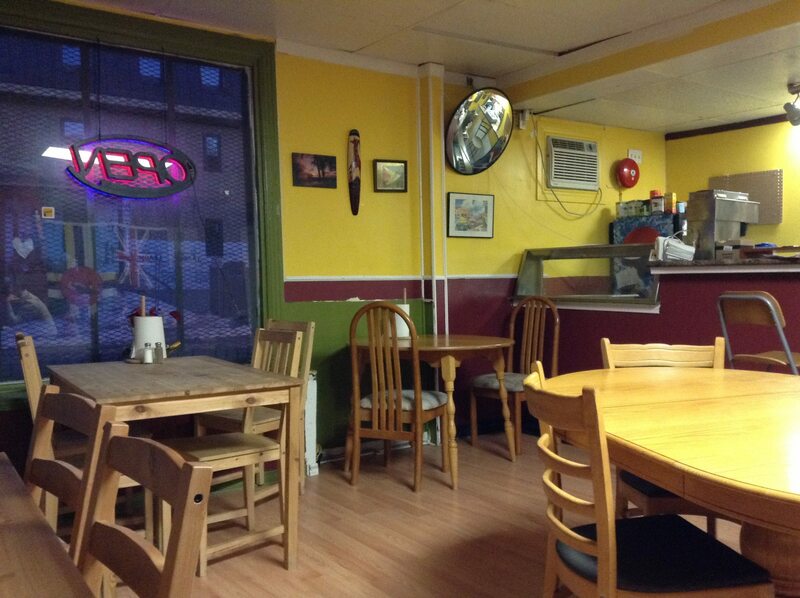 The corner restaurant is homey, cluttered, brightly lit, with a cobbled-together, bits and pieces sort of feel. The requisite Bob Marley poster and reggae tunes are here (do we ever get tired of “Buffalo Soldier”?) and so are the colours of the Jamaican flag on walls and counter. There’s also a roll of paper towel on every table, which you will find useful. Two of White’s sons now help him in the kitchen, which helps the very good Caribbean cooking come out of the kitchen a little faster than it used to. 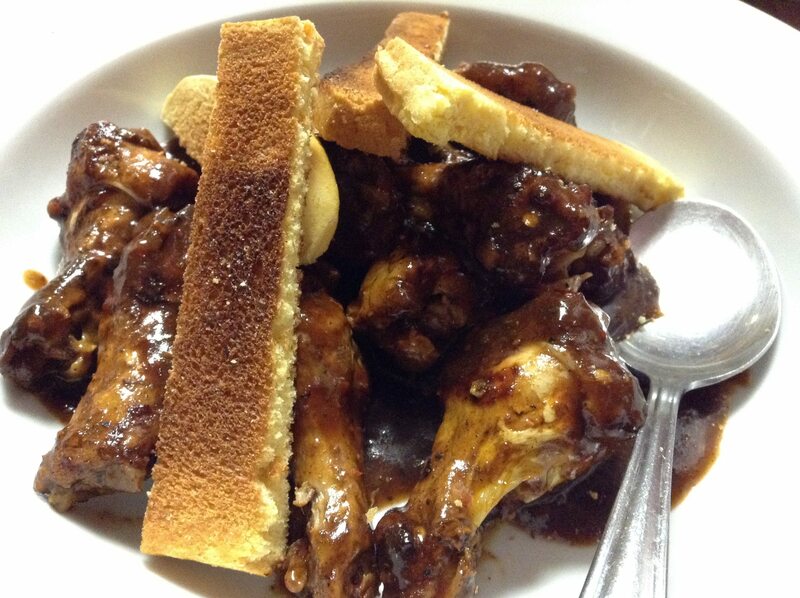 Soups still have filling, homemade integrity, jerk wings still have major pow, though a gorgeous cinnamon finish manages to poke through the Scotch Bonnet heat. They come with fingers of toasted cornbread. 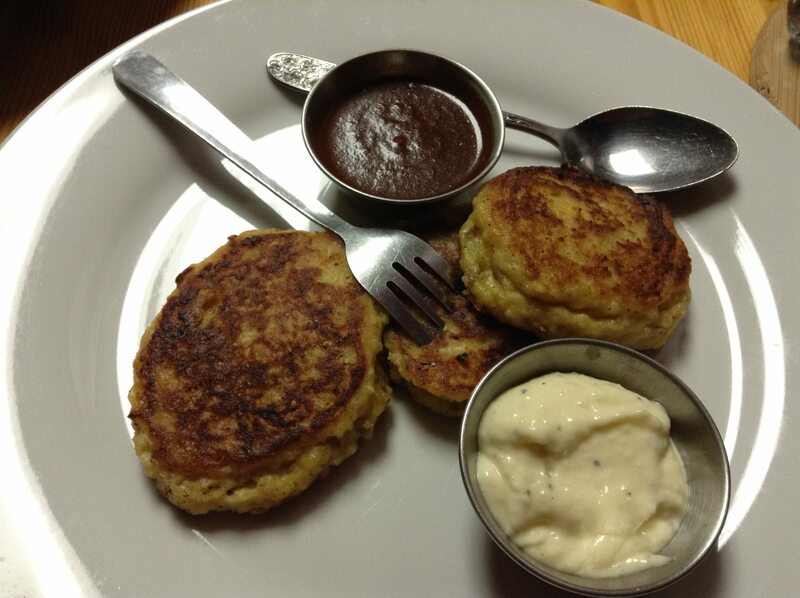 We’re totally taken with the cod cakes served with a duo of dips — a ruddy brown chili sauce (use at own risk) and a milder, richer garlic sauce. 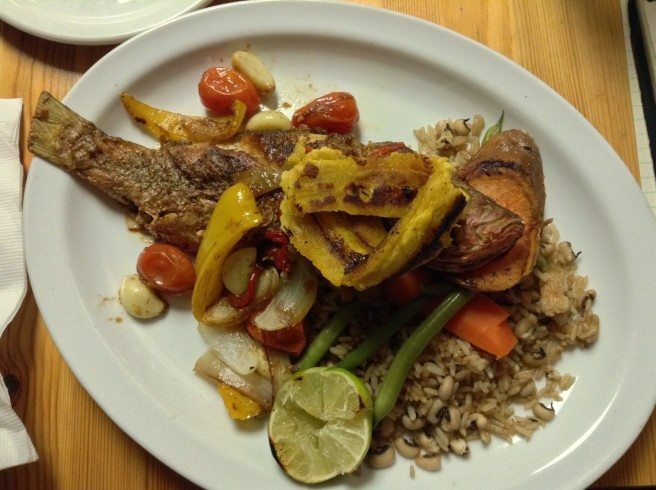 If you order the red snapper special, you’ll get the whole fish, served with garlic cloves and roasted tomatoes. White will filet it for you at your table if you don’t feel up to the task. 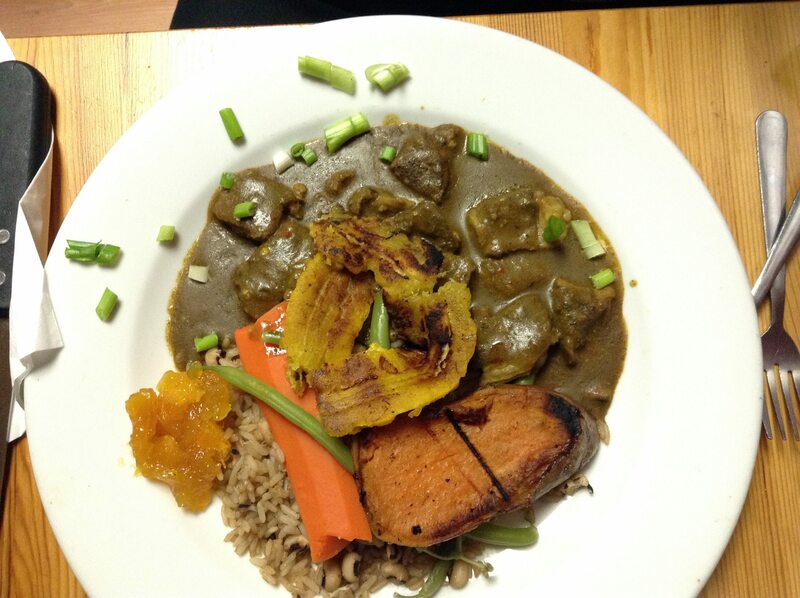 The goat curry is soft meat in a pale brown gravy, generously spiced, served with White’s terrific mango chutney, plus rice and peas, steamed green beans, carrots, roasted sweet potato and caramelized plantain. Flavours of the Caribbean plates are loaded up, and if you start with wings and cod fish cakes, as we did, you’ll be in deep trouble when the main events arrive. No matter, things pack up well. No liquor license, but the house-made ginger beer and sorrel juice are dynamite, the latter clove scented and tasting, unseasonably, of Christmas.